Do you feel like you have to do ALL THE THINGS! Is FOMO a real fear for you? Do you struggle with anxiety or frustration because you can’t seem to manage all the commitments you’ve made? Our culture is allergic to the idea of limits. We’re told that effective people can do it all. But this is a lie. A good life, a peaceful and healthy life-even the Abundant life–is marked by a clear awareness of limits. 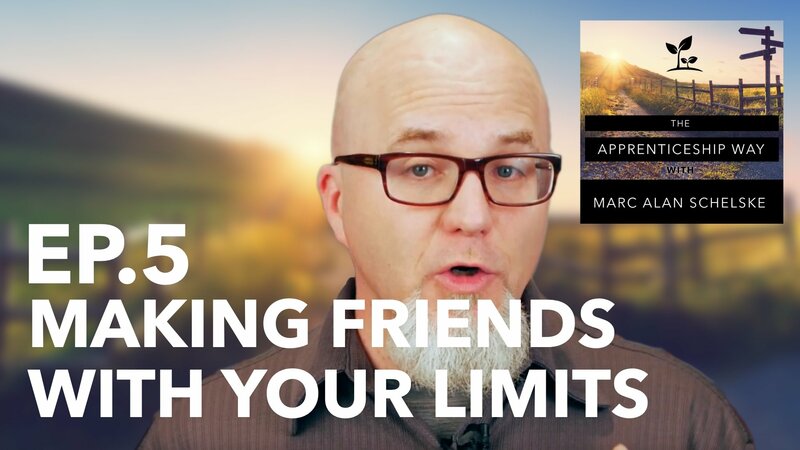 You may be surprised to hear this, but limits are a part of God’s good creation. Trying to do everything is a fast track to wrecking your inner life, your relationships and ending up dissatisfied. Limits are a gift of grace. God created limits as a part of a well-functioning world. The creation poem shows limits as a part of God’s design. For example, land and water are separate, and the water is meant to stay in its appointed place. A healthy well-functioning world exists when each part is living within its limits. You and I are the same. A good life that reflects how God made us, a life with freedom and wholeness, will be lived within limits. Time – We live like we are in charge of our time, but that’s not true. There are many people, like our partners and children, who have a legitimate claim on part of our time. We also live like time is an unlimited resource, but that’s also not true. We have a limited number of days left to us. How many of those days are you going to waste? Physical Energy – We live like our bodies limitations are an obstacle to be gotten around. We push ourselves to the point that we need stimulants in order to feel OK. We buy into this lie because we believe our accomplishment determines our value. Our body is a gift and burning it out honors no one. Emotional Energy – Relationships, creativity, problem solving, parenting and grieving all take emotional energy. We don’t have an infinite supply. If we aren’t taking time to recharge, we will find ourselves living in an emotionally tapped-out state that is destructive to us and those around us. Season & Calling – The season you live in may be a limitation. Seasons such as parenting, caring for an ailing parent, focused times of intense work, etc all require special focus. Some seasons require your focus, which means you won’t be able to do some of the other things you want to do. This is a limit. But this limit is just for a time. When we acknowledge these limits and live within them, we have a higher level of peace and satisfaction. We also show that we are trusting God’s work in our lives. Interested in having Marc speak to your group? Start here.